Caspar Katholnig, c. 1805-1810, Vienna. 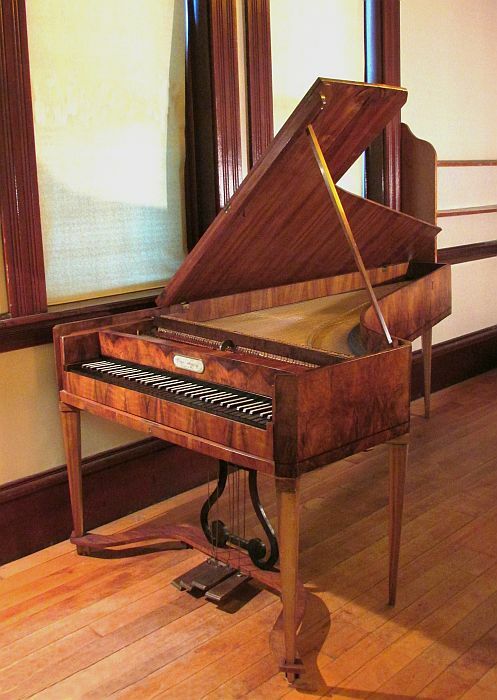 This piano was purchased from Manfred, Count von Schönborn, whose signed affidavit states that the piano had been part of the entailed estate of his wife's family, the Esterhazys, and that it had been among the furnishings at the Esterhazy palace at Eisenstadt. It was, therefore, almost certainly played by the composer and pianist Johann Nepomuk Hummel, who as a child prodigy had been a pupil of Mozart and of Clementi, and later was Haydn's successor to the position of Kapellmeister to the Esterhazys, serving in that capacity from 1804-1811. 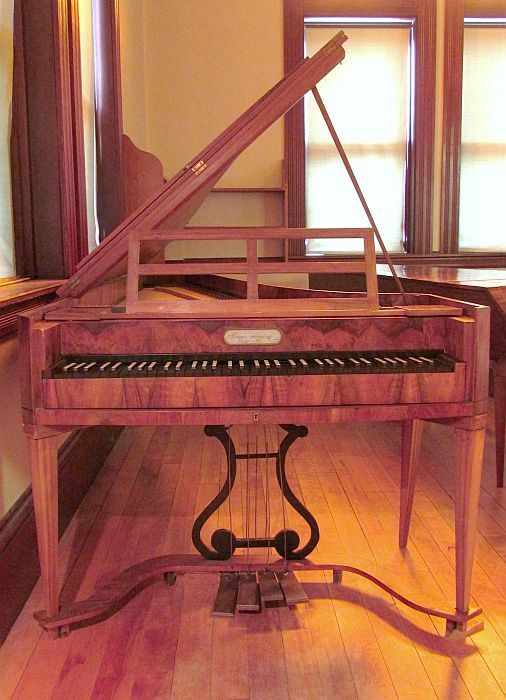 This piano may have been at the Esterhazy palace at Eisenstadt when Beethoven was there to conduct a concert in 1807. Since the Katholnig represents the last kind of piano sound Beethoven was able to hear before becoming severely deaf, one may suppose his compositions even after this time were conceived for the kind of piano tone Beethoven remembered, rather than for later instruments whose sound he could only imagine. 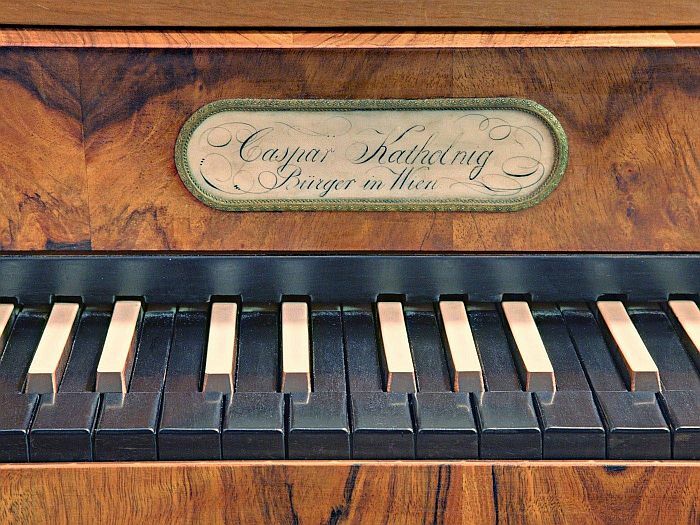 The reverse color keyboard is quite typical of Viennese pianos made around 1810. The pedals are, from left to right, una corda, "bassoon stop" (an uncouth effect for popular music of its day, presently disconnected), the moderator (a mute stop, yielding a pianississimo), and the damper pedal. From our twenty-first-century viewpoint, it is easy to forget that the tone of the Katholnig, while smaller than we are accustomed to, is full and rich compared to the pianos of Beethoven's youth. 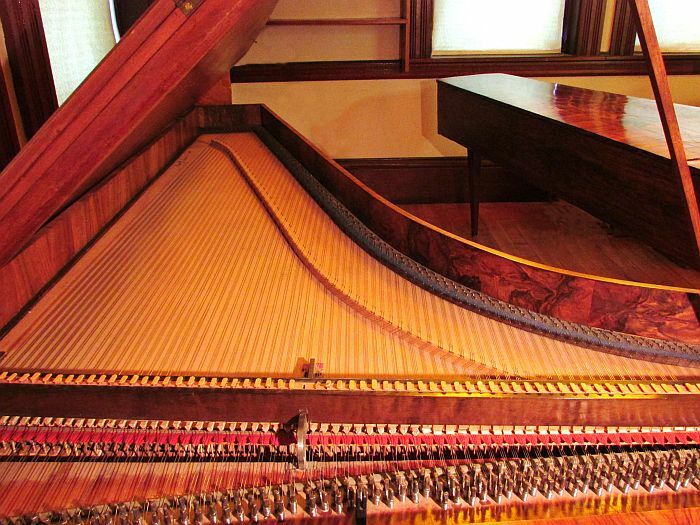 This is vividly demonstrated by a comparison of the Katholnig with the c.1790s anonymous piano in the Frederick Collection, which stands beside it in the Collection.